I’m so over winter at this point. It is April 3, for crying out loud. I’m ready for sunshine, flip flops, and BRIGHT colors! Don’t get me wrong–I LOVE my yoga leggings, but it’s time they take a hiatus until fall. Today’s weather was rainy and depressing. I have a huge window in my office, which means there’s no escaping the rain. I needed a pick me up, so I was excited when I got an email in my inbox for an additional 20% off my entire purchase at Old Navy (use code SAVE20 at oldnavy.com, or mention to the sales associate in store that you have the coupon; cardmembers can save an additional 10%). 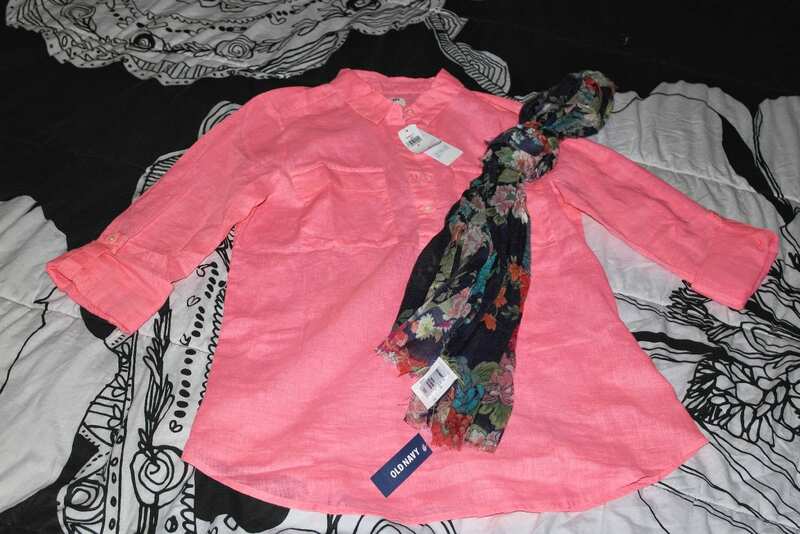 The quick trip was just what I needed–Old Navy had tons of cute clothes in great spring colors! 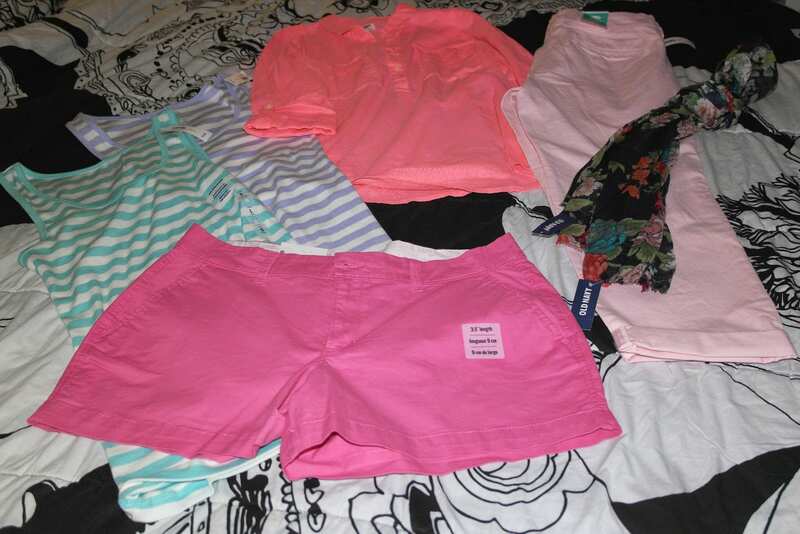 The best part: I only spent $74.53 total, plus I earned $30 in Old Navy Super Cash to spend later! These 2 would be cute worn together with some khaki shorts and navy flip flops! 3. 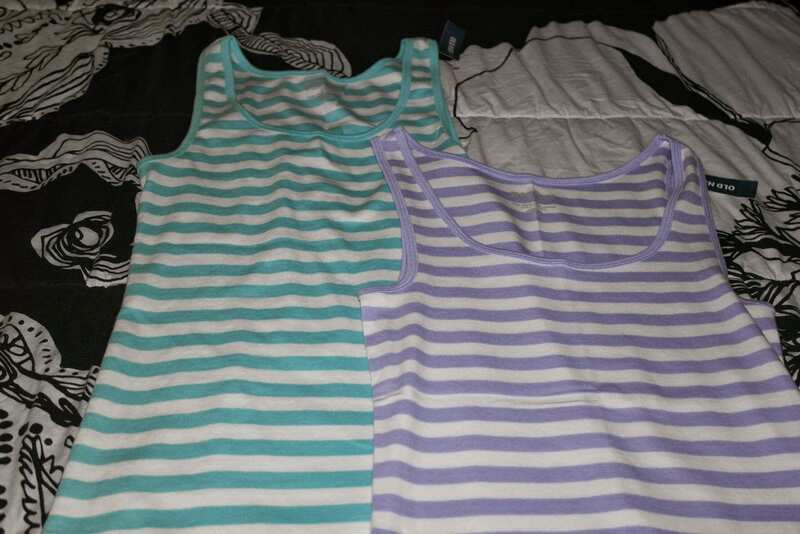 Women’s Perfect Pop-Color Tanks in Mint Stripe and Purple Stripe– reg. $8.50 each, on sale 2 or more for $7.00 each in store, $6.00 each with discount. Perfect with shorts and skirts, or even with dress pants and a cardi for work. 4. Women’s Twill Shorts (3 1/2″) in Pink Dynamite– reg. $19.94, on sale for $15.00 in store, $12.00 after discount. 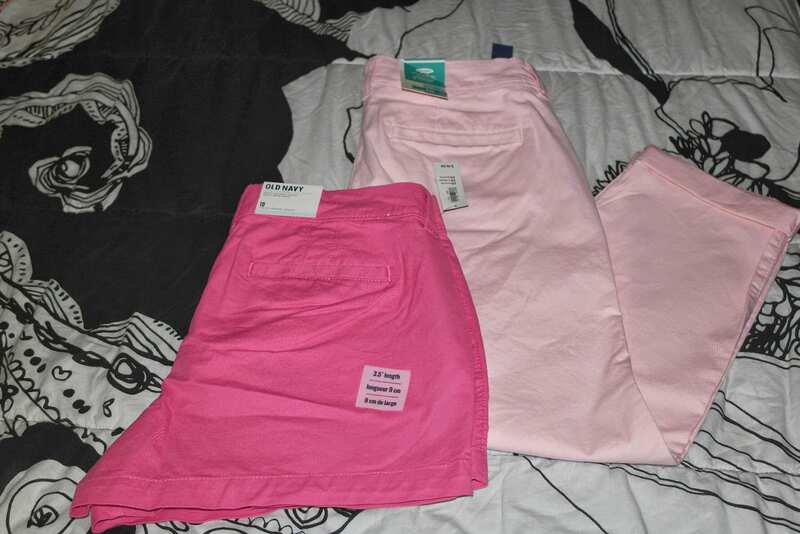 These tie as my favorite shorts of all time with the 3″ shorts from J. Crew Factory! 5. Women’s Boyfriend Skinny Khakis (24 1/2″) in Pink Pirouette– reg. $29.94, on sale for $19.00 in store, $15.20 after discount. In the next couple of weeks, I’ll be snapping pics of ways to wear these new buys over on Instagram. 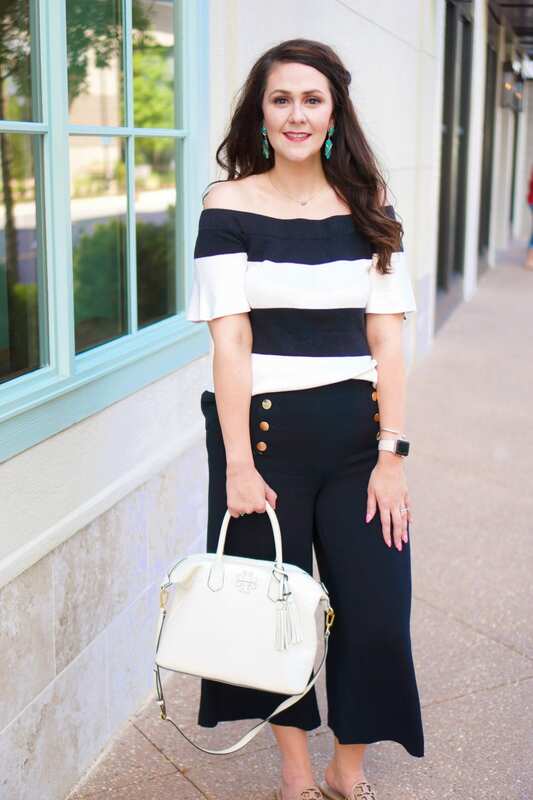 You don’t have to have a complete new wardrobe for Spring–grab a couple of bright new pieces and work them in with what you already have in your closet! If you hit up the Old Navy sale, I hope you find some good buys!